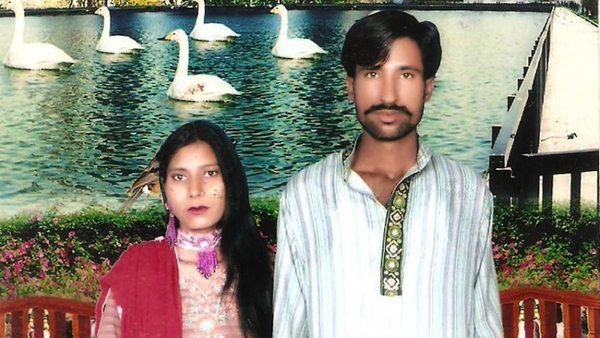 A Pakistani court has confirmed the death sentence of man convicted of murdering a politician who sought to reform the country's blasphemy law about four years ago. But in upholding the death sentence of Mumtaz Qadri on March 9 the Islamabad High Court struck out a terrorism conviction, which could have speeded up the killer's execution. The high court dismissed an appeal against the death sentence of Qadri, a former police bodyguard who shot dead Punjab governor Salman Taseer in 2011. Taseer had been vocal about reforming the country's blasphemy law. Qadri admitted to the crime, explaining that he disagreed with Taseer's call to amend the strict blasphemy laws, which can carry the death penalty for those who may be convicted under it. Judges who reviewed the case had dismissed outright the appeal over the murder charge, Agence France-Presse news agency reported. But the judges set aside Qadri's conviction on terrorism charges. A terror conviction would have quickly had Qadri sent to the gallows as Pakistan only allows suspects convicted of terrorism charges to be executed. Pakistan maintains a moratorium on executions, lifted in December in terrorism cases after Taliban gunmen slaughtered more than 150 people at a school in the country. Authorities have executed around 24 suspects convicted of terrorism crimes. The legal team overseeing Qadri's defense said it was still contemplating whether to seek redress at the country's Supreme Court, but was glad about the ruling on the terrorism charges. "We have got relief by this decision. Charges against Qadri under provision seven of anti-terrorism act have been dropped," said Qadri's lawyer Mian Nazeer. Blasphemy is a highly sensitive issue in Pakistan. For some conservatives, Qadri is being considered as a hero since he espoused on maintaining the strict terms of the country's blasphemy laws . Members of minority religions say the law can be used to settle scores against them that are unrelated to religion.